I have a closet full of bags that are collecting dust because they’re just not functional for my life right now. Some are too small, some don’t have enough pockets for all that I carry, and some I feel I’ve just plain outgrown. 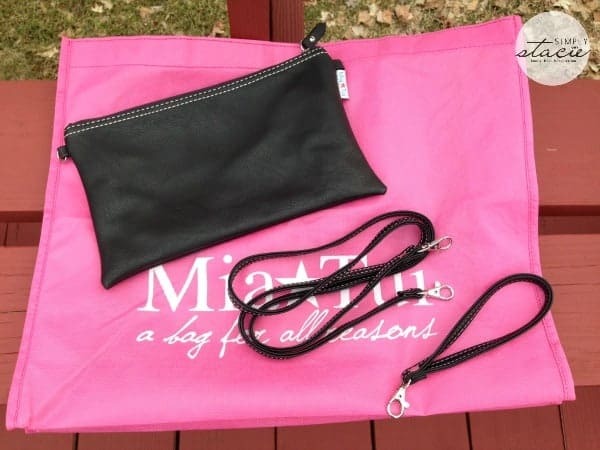 I’m always looking for new bags that can keep up with my busy life with my two boys, and I’ve found a great one from Mia Tui. 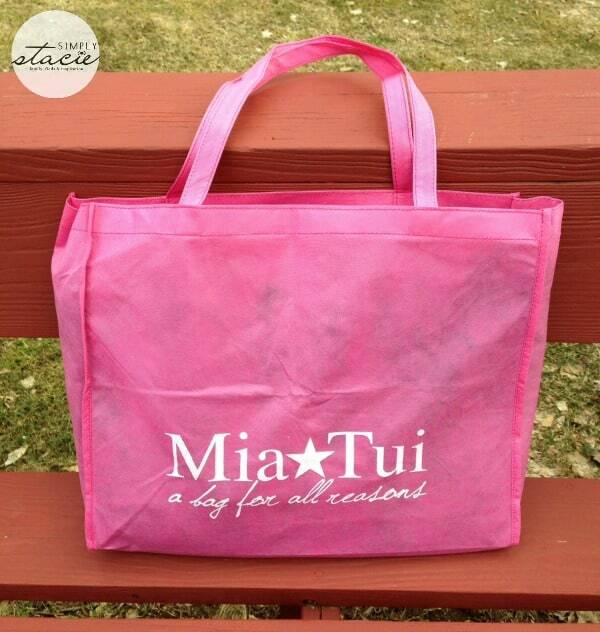 Mia Tui has a great selection of bags that are perfect for the woman on the go. I received a Minnie Amelie for review and when it arrived I could tell that this bag was going to be able to accommodate everything I need to carry with me on a daily basis. I love the cut of this bag, it has so much room inside but it’s not a big bulky bag, it’s actually quite sleek and fashionable. I love all the inner pockets – especially the water bottle and umbrella compartments which are great for toting around sippy cups and water bottles for my two boys (I’m also loving that the bag is waterproof inside and out). I also like that there’s a slot made to hold a phone, which means no more digging around the bottom of my bag trying to find my cell phone while it’s ringing! While the two handles are long enough to carry comfortable over your shoulder, it comes with a thicker strap that you can put on that would be handy for when you’re using it for a travel bag. This bag also comes with two smaller bags that can help you organize your smaller items (and with one being clear, it can help you at the US airports if you’re carrying any liquids). 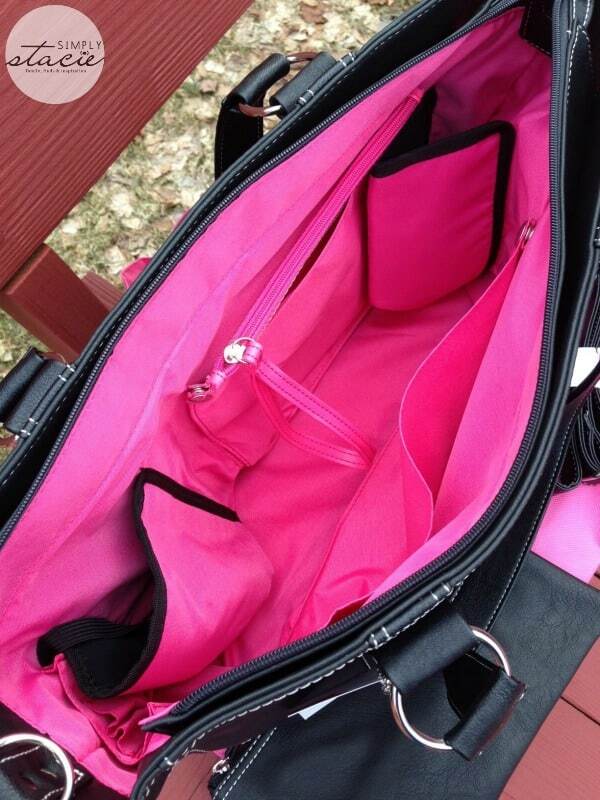 I love that this one bag can function in so many ways – it’s great for me as an everyday bag when I’m running from work to soccer practice to doctor’s appointments with the boys, it can be a nice travel bag to carry overnight essentials, it can be a handy gym bag, or even a great diaper bag. There’s room for everything you might need day or night. 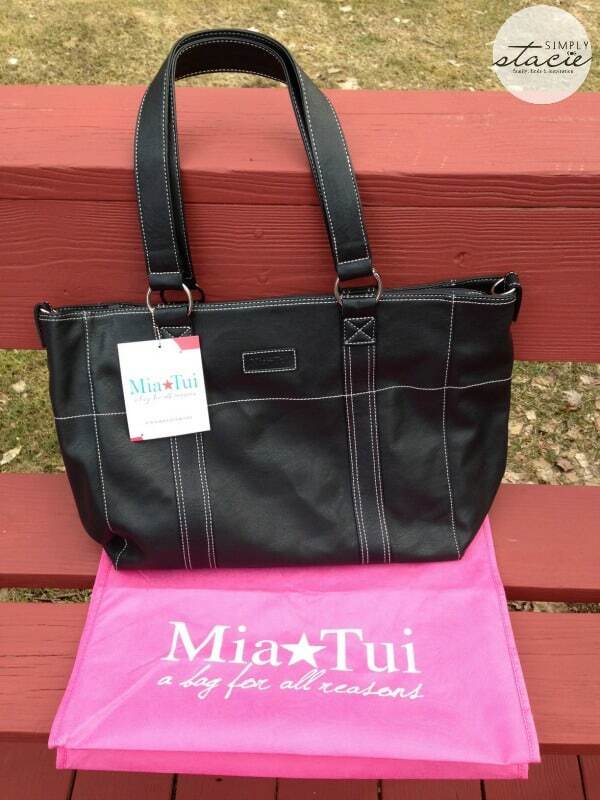 The Minnie Amelie comes in a range of colors to fit any style and every season, and sells for $92 on the Mia Tui site. A great price for such a versatile bag. I love mine! Mia Tui was started in 2010 by Charlotte Jamme – a busy mom of two who had spent years looking for the perfect bag for her lifestyle. Mia Tui’s award winning bags are created in Vietnam, a place Charlotte called home for three years. She is committed to creating quality pieces for the busy woman of today, and beyond making a superior product, Charlotte also makes sure the people creating the bags are happy and are being treated well. It’s nice to see someone in business who doesn’t care just about products and profit, but about people above all. You can learn more about Charlotte, and her wonderful bags and accessories, on the Mia Tui site. I like the Grace Black. I like the Grace Claret. I like the Sofia in Aubergine. I liked the Olivia Black.